Are you interested in the natural environment where you live and want to see it protected? Are you concerned about the effects of traffic through the two villages and would like to influence decision-making about solutions? 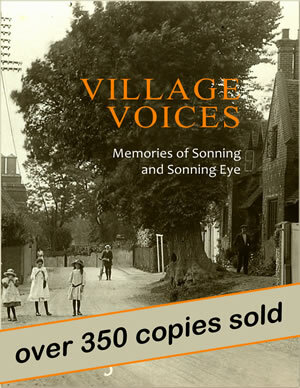 Do you care about the many excellent buildings in both villages and wish to see them preserved? Would you would like to see high standards of planning and architecture in the two villages? 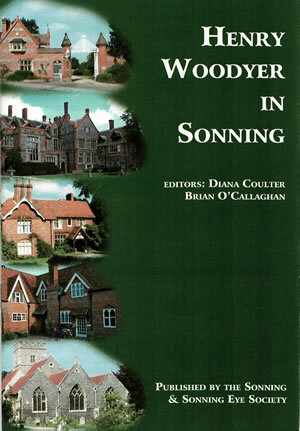 Would you like to learn more about the geography, history, natural history and architecture of Sonning and Sonning Eye? If you answered "yes" to any of these questions then you would benefit from joining our Society. 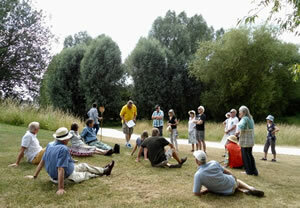 We aim to protect and improve the natural environment and historic features of Sonning and Sonning Eye. Working alongside local authorieies and committees to ensure that planning and traffic regulations preserve our village. We encourage research, publish reports and through our Education and Social Panel inform members about our history, geography and architectural heritage. Members receive regular newsletters, offering insight into historical, natural and architectural features of the two villages as well as informing them of the work of the Executive Committee and its Panels. Our Facebook community group keeps everyone updated with the latest news and activities. Through the AGM, Executive Committee meetings, and active engagement with the work of the Panels, members have the opportunity to influence decisions affecting the two villages and their surroundings. 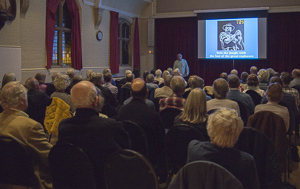 Members enjoy a varied programme of events throughout the year. 'Walks and Talks' by local experts, lectures on special topics, outings to places of interest and our Annual Supper with a guest speaker, all provide members with a chance to meet socially - over a cup of tea or glass of wine. Membership Data will be held on a computer and used for Sonning & Sonning Eye Society purposes only. Any member with an objection to this procedure/or wishing to examine the database can apply to the Membership Secretary. Nominations are invited for the four Officer posts and between four and eight other members of the Executive Committee. Society members who are interested in contributing to the work of the Society are invited to contact the Honorary Secretary on 0118 969 6924 to discuss further. Please note that the nominations of all Officers and members of the Executive Committee must be proposed and seconded using the nomination form (available to download) and returned to the Honorary Secretary by no later than Saturday 3 November 2018. Mike Hart, Bob Hine and Andy Bell have all expressed a willingness to stand for re-election as Chairman, Vice-Chairman and Honorary Secretary respectively. Executive Committee members Pauline Simmonds and Lesley Heaney are not eligible to stand for re-election having served three years as members of the Executive Committee. The other retiring members, Patrick Hamblin, Annabella Marks, Jeremy Gilmore and Ali Driver, have all expressed a willingness to stand for re-election.